Jessica McClain is on the run... again. 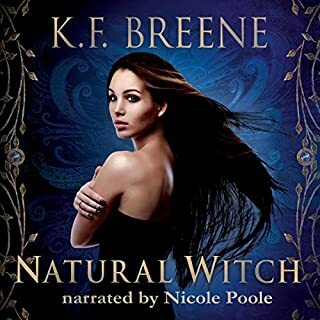 Finally reunited with Rourke, Jessica arrives home to find that her best friend has been kidnapped, her father has vanished, and the supernatural Sects - witches, demons, and sorcerers - don't even have the courtesy to wait until she is unpacked to attack. 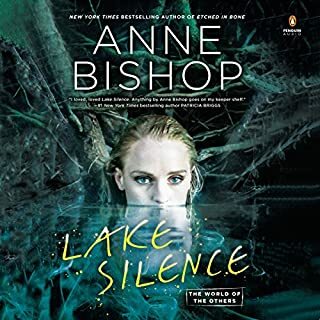 Where does Cold Blooded rank among all the audiobooks you’ve listened to so far? Amanda Carlson does it again in this full cast of action pack supernatural adventure. I have followed the series since the first book I am happy to say in the 3 rd book we are not disappointed. We actually learn more about Jessica powers and what it means to others. We all see a lot new supernatural creatures come to battle. I have to say I love her relationship with her mate and the ease she find when she is in trouble. I really look forward to the next book and hope we don't have long to wait. I have to say Jessica because she is always calm to certain point and instead of fighting the fact she is the first female werewolf she keep on trying. She never leaves a man behind and isn't afraid to do the killing her self instead of having others do it like in so many other books. She is a strong female. I’m going to try my best to avoid any spoilers for previous books in the Jessica McClain series. I know it is a newer series by a relatively new author. There are still a lot of people may not have read books one and two yet. I highly recommend that you resolve that issue ASAP. This book picks up right were book two left off. Jessica has found and rescued Rourke.. (Woohoo!) They finally get their time together, especially some alone. While it isn’t long lasting, it is well worth it. My favorite quote comes from Jessica while at Rourke’s cabin, “We broke the countertop.” This really made me laugh out loud. Tyler, Danny, Nick, Naomi and Ray are all with Jessica on this adventure. Jessica goes from one piece of chaos to another, it seems neverending for her. She visits the witches, fights demons and sorcerers and stops by to see the vampires, and that is just part of the story. We learn a lot about Jessica. She is really coming into her powers. We also learn how powerful her blood really is. We also meet several other very powerful beings. We also learn a lot about some the powerful beings we already know. I don’t want to spoil anything, but there is a lot of behind the scenes plotting for power going on. Jessica learns about much of this as she goes and is very good about taking it all in stride. She is also very good at thinking on her feet to come out on top, even against beings way older and more experienced at negotiations than she is. Worst part about this book, the cliffhanger end. I’m not a fan of cliffhangers, I despise them. The last part of this book is setting up the first adventure into book four. I say first adventure, because if book four is anything like the first three, then there will be more than one adventure for Jessica and the gang. The narrator does a great job. She started doing the Jessica McClain series with book two. She does just as good as she did with it. I love how she voices Danny. He didn’t have a huge part in this book, but she nails his voice, in my opinion. She also does a great job with the vampire queen. If you haven’t tried this series, I highly recommend it. 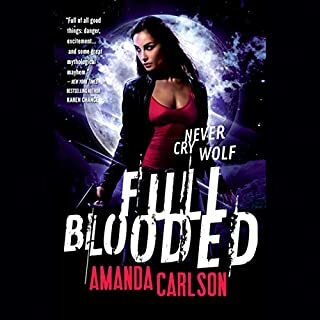 It is great for people who like strong female leads, werewolves and a lot of action. 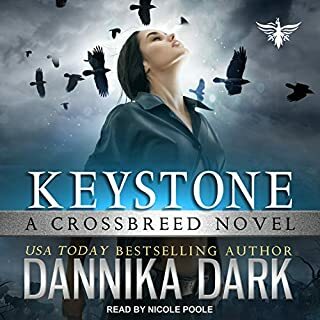 If you’ve enjoyed Kate Daniels series by Ilona Andrews, The Hollows by Kim Harrison , Downside Ghosts by Stacia Kane and Mercy Thompson by Patricia Briggs, then I think you’ll love this book. What did you love best about Cold Blooded? Once again, I absolutely loved being pulled in to the world of Jessica McClain. If you love Jessica and the gang, this is a must read. Cold blooded is full of adventure and bad guys. A world where foes can become allies and even friends. This book is none stop action, and i was sad to see it end. Cant wait for the next installment. I have recommended this series to all my book loving friends. Thanks Amanda Carlson for letting us be part of the world you create :) You are an amazing and talented writer. Therese Plummer was wonderful... Great Job!!! I listened from start to finish in one day. Amazing!! I have just started this series and love it. where are the rest? authors website says there are several more books in this series?